She thanked God that the nation’s founders, such as George Washington and Abraham Lincoln, sought after God in their leadership capacities. Gov. Tom Wolf, who identifies as a Methodist, said that he was “horrified” by Borowicz’s prayer. “I had no idea that that would cause controversy. It wasn’t directed at anyone,” she told the American Pastors Network. The organization defended Borowicz in noting that Penn founded the Commonwealth of Pennsylvania on the Word of God, and that even the preamble to the Pennsylvania Constitution refers to “Almighty God.” As previously reported, Penn was a street preacher, and was once put on trial for causing a “tumultuous assembly” with his preaching. 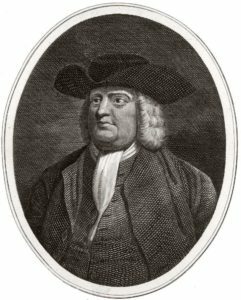 “In fact, Penn dreamed to establish in Pennsylvania what was referred to as ‘The Holy Experiment,’ in which a colony would be founded that guaranteed religious freedom. But that freedom was based upon the truth of the Holy God of the Bible and His Son, Jesus Christ, as it states in John 8:32: ‘And you shall know the truth and the truth shall make you free,’” explained Executive Director Gary Dull. 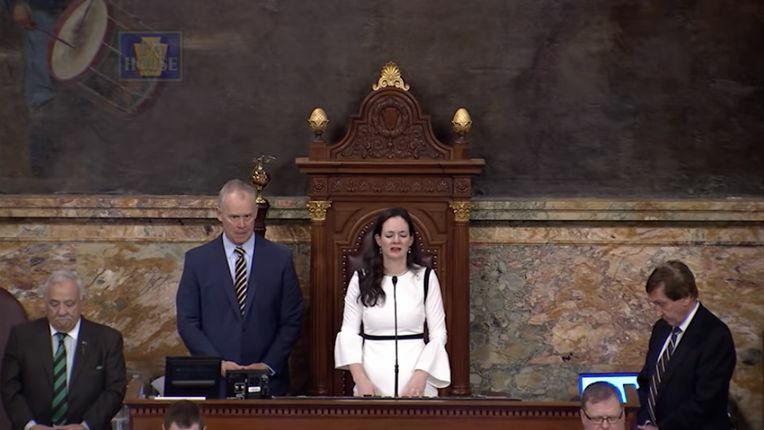 “The preamble of the Pennsylvania Constitution states: ‘We, the people of Pennsylvania, grateful to Almighty God for the blessings of civil and religious liberty, and humbly invoking His guidance, do ordain and establish this Constitution …’” he continued. Dull further explained that Christians often cite Scripture when praying, and doing so will naturally be offensive to unbelievers. “In fact, Isaiah 30:9 says that spiritually rebellious people ‘will not hear the law of the Lord.’ So, we should not be surprised when some people object to the Word of God when it is read, spoken or used in our prayers,” he said. He stated that if a Muslim were praying, it would be understood that the Muslim would likewise speak in Islamic terms. 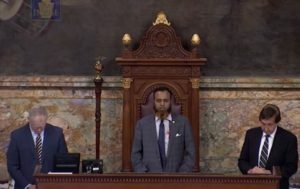 According to the Pennsylvania Capital Star, House Speaker Mike Turzai, R-Allegheny, whose office is charge of organizing the daily invocation speakers, also invited Muslim cleric Muhammad Chowdury to pray that day. He took the podium following Borowicz and before Johnson-Harrell was sworn into office. Turzai’s office posted a video of Chowdury to YouTube, who spoke in Arabic, and also delivered the Surah Al-Fatiha from the Quran in song. His remarks were met with applause at the conclusion of his presentation. “Whereas, prayers offered before the House of Representatives in the daily order of business should reflect mutual respect and religious tolerance of our colleagues and constituents, and not intimidate, demean or degrade, therefore, be it resolved that members of the House of Representatives who have the opportunity to offer a prayer in the course of a legislative session are urged to follow the request of Speaker Turzai to ‘craft a prayer that is respectful of all religious beliefs,'” the proposal reads. Read the resolution in full here. The measure was referred to the House Rules committee on Tuesday.